Cameron Booth is a Graphic Designer with a particularly keen area of interest — transit maps. 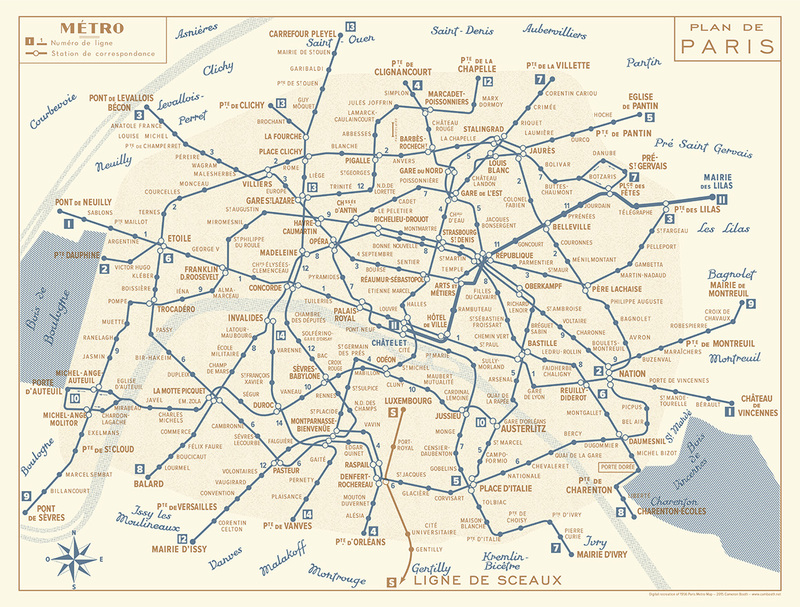 Recently, he set his sights on a digital recreation of one of his all time favorites — a 1956 Paris Métro Map. Have a look at the fruits of Booth’s labor, below. 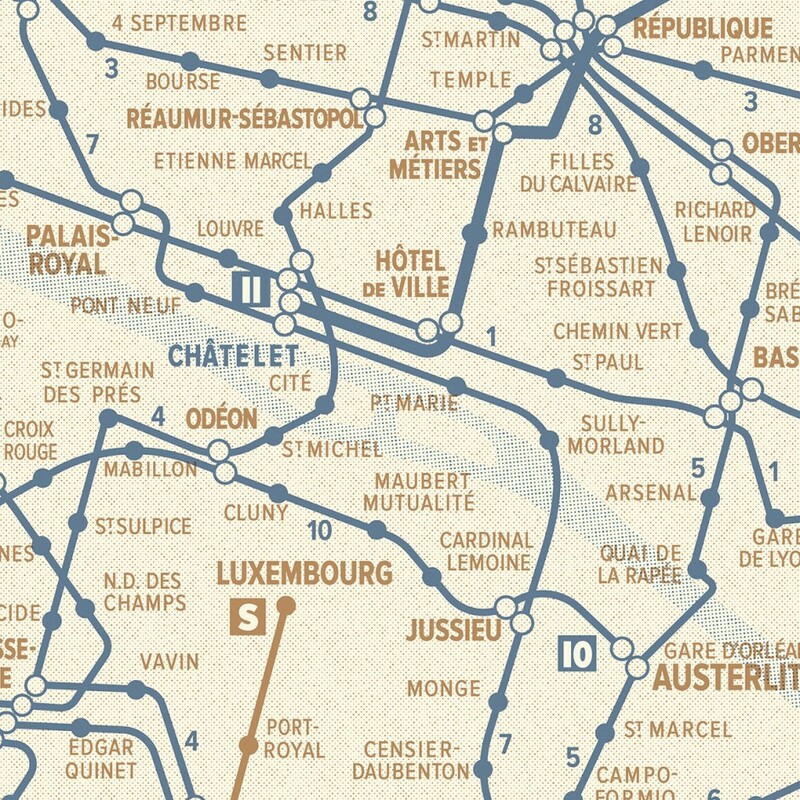 Read the full story about Cameron Booth’s painstaking digital recreation of this 1956 Paris Metro Map here.